For Our visitors, Residents, & future residents! Aloha and welcome to Hawaii Trip Report! 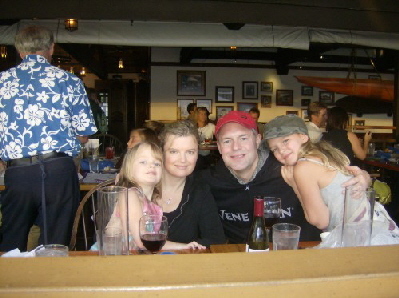 Almost five years ago, after visiting many times, my family moved from Indiana to Hawaii. We did not make this decision lightly, as we had deep, deep roots planted in Indiana. However, we had lived a very long time in the midwest, and decided it was “now or never.” So we completed our research, made our plans, and over the course of six months did everything we could to make the move. And now it’s been almost five years! Over the last several years, I’ve received many emails commenting on this site, and a ton of questions that were not answered here. So now that I’m updating the site, I’m going to try to add a lot of additional information as well as a blog and possibly a trip forum, so that others can share their experiences in Hawaii. If you would like to be notified when we have our blog and forum up and running, please fill out the form below. We promise not to sell or share your information with anyone. Updates to this site include more information about site seeing, the hotels and resorts, the beaches, the restaurants (and yes, local brew pubs,) as well as more information for people thinking about moving to Hawaii. ps, here’s a flashback five years ago to one of the happiest days! Our 45 foot container arriving! We were so excited to get our stuff. It took about four weeks to arrive. We actually used a company called West Pointe shipping. They did an awesome job. The Matson container arrived, and a couple days later the guys came who actually unloaded it. The moving company packed and unpacked everything professionally. We were amazed at how few things were damaged after such a long journey! Click here for more about our actual move.